We all want a web that's more flexible, responsive, and ready for new devices. There's only one little flaw: Our content is stuck in the past. Locked into inflexible pages and documents, our content is far from ready for today's world of APIs, read-later services, and responsive sites&much less for the coming one, where the web is embedded in everything from autos to appliances. We can't keep creating more content for each of these new devices and channels. We'd go nuts trying to manage and maintain all of it. Instead, we need content that does more for us. Sara Wachter-Boettcher is an independent content strategist based in Lancaster, Pennsylvania, where she helps clients stop creating endless content and start building strategies that are sustainable, meaningful, and future-ready. Sara is the editor in chief for A List Apart magazine, where her writing has also appeared. She also contributes to Contents and blogs sporadically on her personal site, sarawb.com. You can see where she'll be speaking next on Lanyrd. 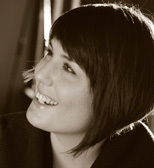 Sara has helped these organizations: Northern Arizona University, CBS, and Nike.